Have you ever felt sad or angry and then, after playing a sport, or going on a hike, you suddenly feel better? Physical and social forms of recreation can go a long way in treating emotional and behavioral disorders. Physical movement enhances proper lymph functioning, which is powerfully connected to mood. In fact, regular exercise can greatly reduce the effects of depression and anxiety. With this knowledge in mind, recreational and experiential therapists encourage people to address emotional and behavioral struggles through goal-oriented physical and social activities. Examples of therapeutic activities include arts and crafts, sports, adventure programs, music, dance, or drama, and exercise (such as aerobics or stretching). The goal of recreational and experiential therapy is to restore, remediate, or rehabilitate a person’s level of functioning through life activities. Recreational and experiential therapy also promotes health and wellness. People who undergo recreational therapy can expect to build confidence, develop social skills and coping skills, and, if needed, improve motor and cognitive functioning. Experiential therapy is an umbrella term used to describe therapies that use movements, activities and actions to treat issues, rather than traditional talk therapies. Recreational and experiential therapists work in school systems, mental health facilities, hospitals, nursing facilities and correctional and substance abuse facilities. Recreational and experiential therapies have been shown to be effective in helping teens with mental illness and behavioral problems. If you are struggling with a mental illness, substance abuse problem, or a physical or social disability, recreational and experiential therapy may benefit you. These therapies can help you build coping skills and achieve personal growth and empowerment, among other benefits. When you feel empowered, you’re in a good position to make the positive changes you want in your life. To discuss recreational and experiential therapy options, make an appointment with a mental health clinic that offers those services. They can work with you to determine your needs and formulate a treatment plan. What kind of disorders does recreational and experiential therapy treat? Recreational and experiential therapies have been successfully implemented in programs for teens being treated for substance abuse, depression, anxiety, eating disorders, trauma, bipolar, behavioral problems and other issues. What are the benefits of recreational and experiential therapy? 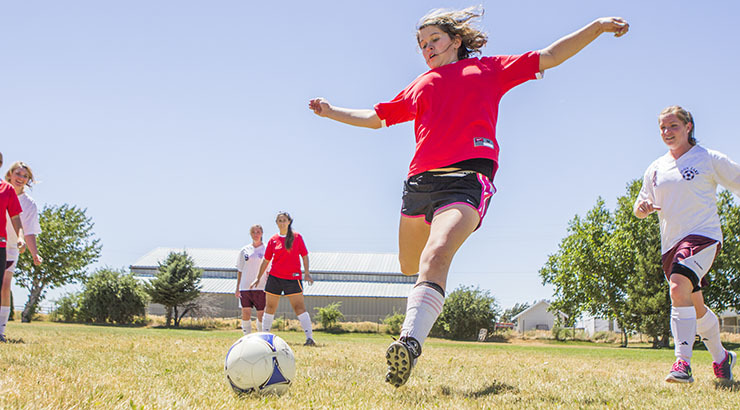 Teens who engage in structured, goal-oriented activities that use creativity and/or movement can identify and overcome obstacles, build confidence, connect with others, develop social skills, improve self-esteem, and learn how to fill time with healthy recreation. This is especially important in an era where many teens rely on screen time (video games, TV, Internet, etc.) for recreation rather than opportunities for socialization and movement. How effective is recreational and experiential therapy? This type of therapy can be extremely effective in helping people learn strategies for coping and managing stress and other problems.